Icy winds of Northrend, crisp whispering filling your head, demons surrounding you at every turn, and above all the indomitable will to save your people from the clutches of undeath. 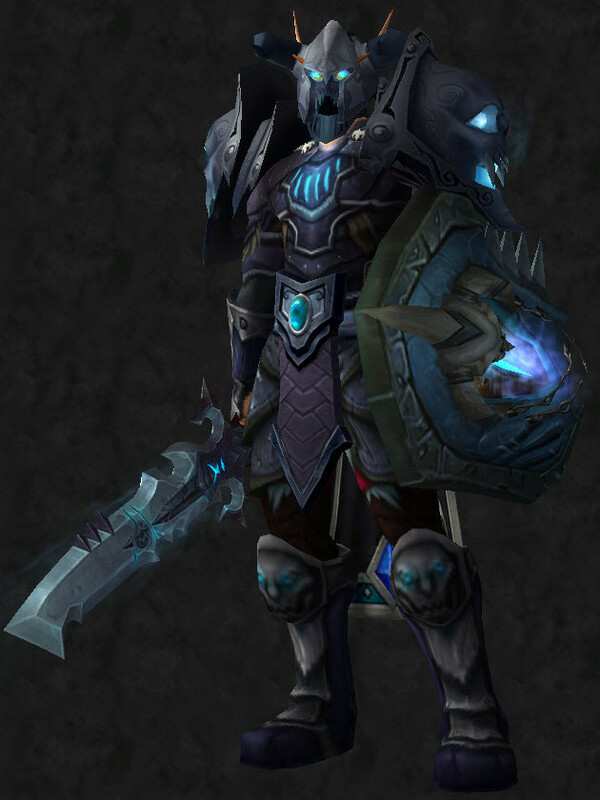 What was once true for Arthas, holds true now for all his Death Knights. And no matter where they tread, they always inspire fear and dread. 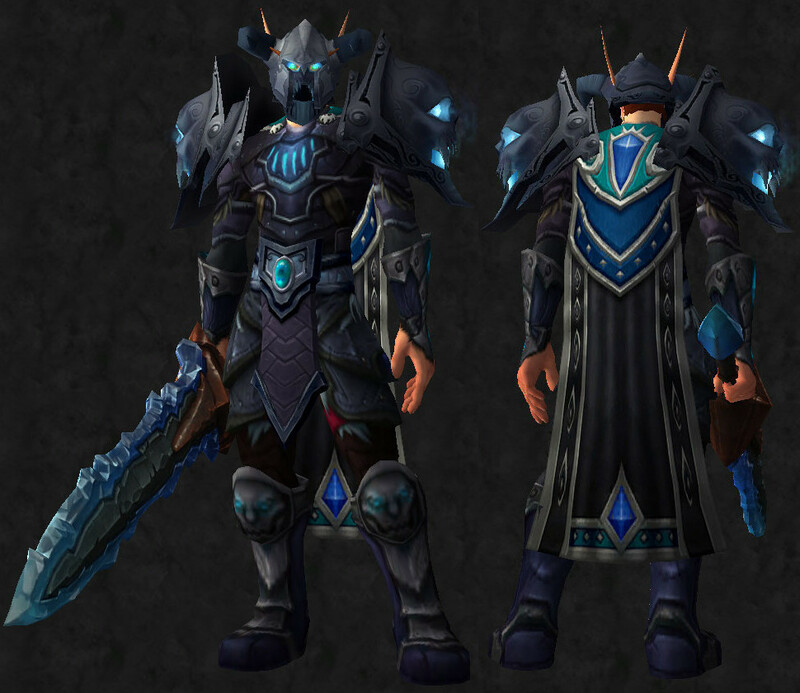 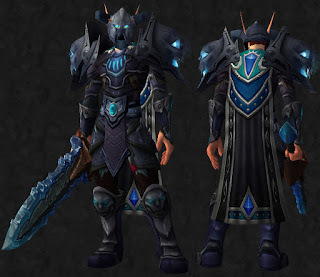 But here, we have a transmog set, that will aside from Death Knights, allow Paladins and Warriors as well to feel what it is like to be the bad boy of the bunch.